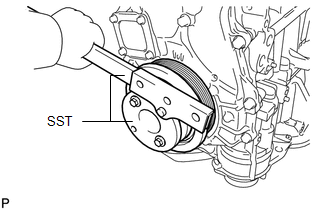 (a) Using SST, hold the crankshaft pulley. 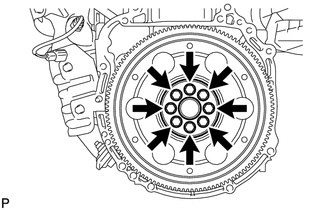 (b) Remove the 8 bolts, front drive plate spacer, drive plate and ring gear sub-assembly, and rear drive plate spacer. (a) Using a knife, cut off the lip of the oil seal. 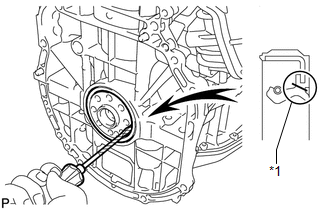 (b) Using a screwdriver, pry out the oil seal.